Get non-stop text messages with the unlimited texts to other networks with the newest Smart Prepaid Lahatxt 20 and Lahatxt 30 Promo. Load up now and start your kamustahan with your friends, family and loved ones, no matter which network they are using. 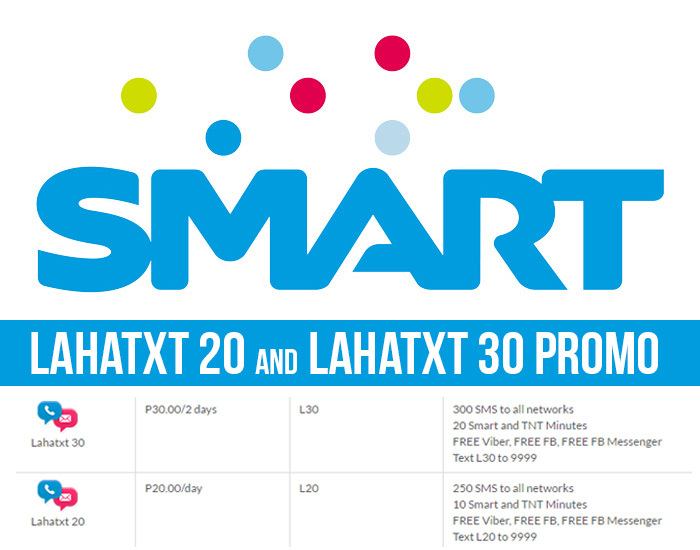 The Lahatxt promo is also packed with free calls to Smart and TNT subscribers and free Facebook, Messenger and Viber. What are you waiting for? Regsiter now and enjoy! How to Call to SMART Lahatxt 20 and Lahatxt 30? Experiencing Smart Lahatxt promo at its finest? Stay tuned to our new promos, visit us in our Facebook page : www.facebook.com/Unlipromo. Register and Enjoy! I am looking for someone who is in charge of your business development to discuss our possible cooperation. Could you provide me with the right contact please? I would highly appreciate any kind of a feedback.